The National Treasury Employees Union is the nation’s largest independent non-postal federal employees union. 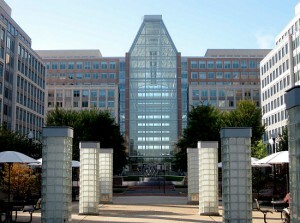 It represents some 155,000 government workers in the United States Patent and Trademark Office, Internal Revenue Service, United States Customs Service, Federal Communications Commission, Department of Health and Human Services, FDIC, Nuclear Regulatory Commission, and many other agencies within the federal government. NTEU sets the standard for labor relations in the federal sector. It is dedicated to building recognition of the value of federal service, respect for employee rights, professional development, and employee involvement in all workplace decisions. NTEU 245, the Trademark Society, represents the Trademark Examining Attorneys and Trademark Trial and Appeal Board Interlocutory Attorneys at the United States Patent and Trademark Office.